J.B. Pritzker is sworn in as Illinois' 43rd governor on Monday, Jan. 14, 2019, in Springfield. In his inaugural speech, Pritzker set the stage for an ambitious progressive agenda in the upcoming legislative session. But the Democratic governor along with a Democratic majority in the General Assembly have their work cut out for them. But as the festivities die down and the 101st legislative session gets under way, Pritzker must work with Republicans—even in a Democratic majority—to advance, what he calls, his agenda for the working people of Illinois. This includes a $15 minimum wage, commercializing the use of recreational marijuana and enacting a balanced budget. 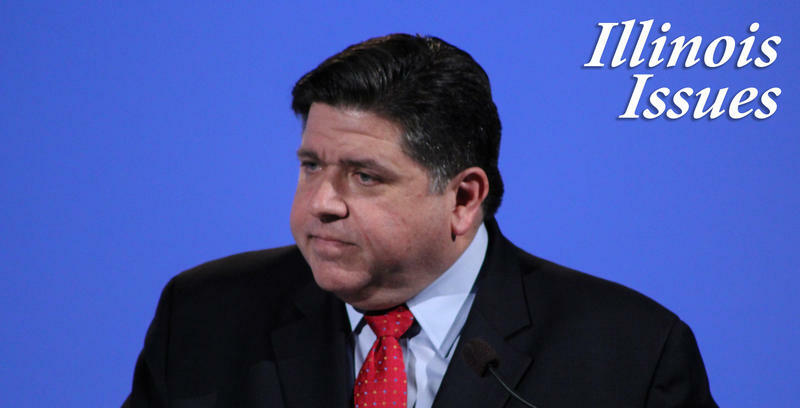 Speaking from an Illinois-shaped stage made especially for the occasion, Pritzker promised to work on behalf of those hurt the hardest by the two-year budget impasse. "Be clear about this," said Pritzker. "I won't balance the budget on the backs of the starving, the sick, and the suffering." Former Gov. Bruce Rauner vetoed a proposal to raise the minimum wage in 2017 saying the hike would hurt small businesses. Several Republicans have voiced similar concerns. Despite that bit of shade, Democrats remained jubilant. The crowd seemed particularly excited about new Lt. Gov. Juliana Stratton. She’s the first African-American to serve in that office, and talked about the history that led to that moment. Stratton, along with Attorney General Kwame Raoul, Secretary of State Jesse White, and Comptroller Susana Mendoza mean that Illinois has its first majority-minority cabinet.